Will a deal with Presto save Quickflix from oblivion? It may be the longest running media streaming service in Australia, but it's starting to show its age. Lack of content and average performance make Quickflix impossible to recommend. Update: If you can't beat them, join them. After struggling to compete with the arrival of Netflix, Stan and Presto, Quickflix has announced a deal with Presto to replace its current streaming service with Foxtel's offering. It hasn't been confirmed yet and timeframes are to be announced, but the move would offer a massive library boost to Quickflix users, and a massive platform boost to Foxtel. Until the change happens though, the original review is below. Australia has always been late to the party with digital entertainment. iTunes took years to launch down here, we still don't get Amazon Instant Prime and Netflix is only just getting around to setting up shop. But in those gaps between major international tech companies expanding Down Under, there has been a number of local startups hellbent on plugging the gap. In the media streaming space, that startup was Quickflix. 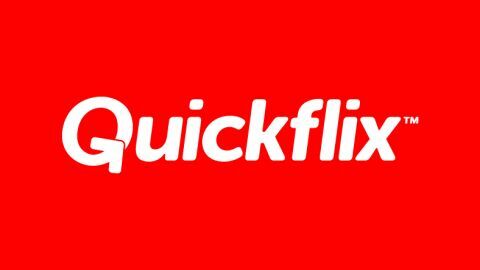 Like Netflix in the US, Quickflix began its life as a postal DVD service, but with the rise of broadband penetration across the country, made the shift into digital streaming. With some financial backing from HBO, things looked promising for Quickflix for a while. But as history has shown us, the service failed to capture the imaginations of Australians, with the company struggling financially, and HBO selling its stake in the company to Channel 9. In fact, things have been so tough that Quickflix CEO Stephen Langsford asked customers to buy shares in the company last year. But while financially things haven't looked too great for the streaming service, the fact is that Quickflix still exists in the Australian market. With the arrival of Stan and Presto entertainment this year, and the impending launch of Netflix, things are going to get much more competitive. So how does Quickflix stack up in the current market? We've spent some time up close and personal with the service to see if it's worth the price of entry. Getting yourself connected to a Quickflix account isn't especially difficult. The biggest challenge you'll face is deciding whether you want to exclusively stream video content for $9.99 a month, or if you want to sign up for the company's mail-order DVD delivery service too. If physical media is still your thing, there are a couple of pricing tiers: 1 DVD or Blu-ray rented at a time, with unlimited exchanges and streaming thrown in starts at $19.99 a month, while two discs at a time plus streaming boosts the cost to $29.99 a month. Three discs at a time with streaming is $36.99. There's also a disc-subscription offering without the streaming service thrown in, although if that's what you're after, we're not sure why you'd be reading this review. Unlike Stan and Presto, Quickflix only offers a two week trial period to get started on the service with, as opposed to the 30 day trial its rivals offer. We set up our account via the web portal, and it was as easy as you would hope it to be, requiring some contact details and a valid credit card. Once your account is activated, it's a case of getting the service running on your device of choice. Perhaps this here is the biggest advantage Quickflix has in the Australian market – because it's been around for a while, it's managed to get itself onto lots of different devices. Whether it's a PC or Mac, a Smart TV from any number of manufacturers, a Sony or Microsoft games console like the PS4 or Xbox One, or a tablet or phone running iOS or Android, chances are you can get the Quickflix app running. Each account can stream to six devices too, so that massive lineup of compatible hardware is pretty easy to line up. The catch is that not all apps are made equal. PC and Mac users, for example, are required to download Silverlight to make the service work, and even when they do, they can still only stream in Standard Definition. If you want to stream high definition, you're going to need to access Quickflix via a Samsung, LG or Panasonic Smart TV, a relevant games console or a Samsung or Android tablet. Web access, iOS devices and Windows Phone are all SD only. As a small consolation, Quickflix also offers Chromecast support, which does support HD streaming, so there's a pretty simple workaround. Of course, you need to find content offered in HD, and that's another story altogether. Because Quickflix isn't a pure subscription service – it also offers more recent TV and movie content for rent or purchase outright – navigating the collection can be a slightly confusing journey, depending on what platform you access the service from. The web portal is fairly simple – there's a drop down option for subscription TV and a separate one for subscription movies. If you browse all TV or movies, premium content is labelled with a small 'Premium' badge. Accessing via the iOS app offers the same Premium badge, but it's difficult to see on the smaller iPhone screen. There's also no way to browse exclusively by subscription service, which seems somewhat ridiculous. When you select the TV or Movie option, you are greeted by a long grid of content, with no rhyme or reason behind what you can watch as part of your package. There is a Genre drop down menu at the top of the page, but it's unreliable at best – selecting Comedy within the TV shows menu, for example, fails to give any indication that Quickflix hosts all seasons of Larry David's Curb Your Enthusiasm. Things on the consoles are slightly clearer, with navigation directed through either TV Shows, Movies or Premium TV and Premium Movies. Discovering content is nowhere near as intuitive as rival services like Netflix and Stan though. The recommendation engine shows at least as much premium content as subscription content, while browsing via category can easily miss a show you want to find. On the upside, browsing via most devices is quick – there's little delay when selecting sub-menus and scrolling through the available options. Each title has a good amount of synopsis info as well, so you can choose what to watch with few issues. But ultimately, compared to the newer streaming options on the market, Quickflix offers little incentive to choose it over Stan, or even Presto.